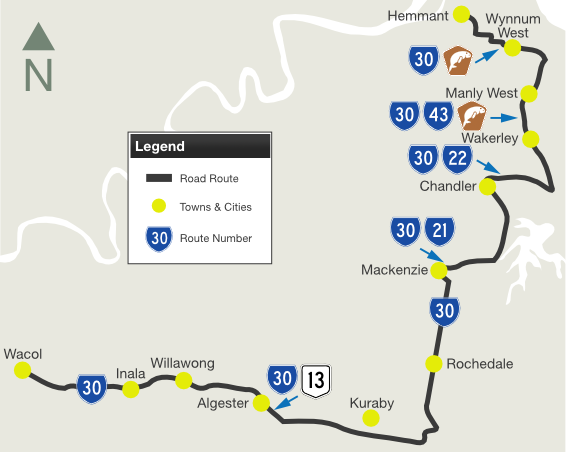 State Route 30 takes many twists and turns along its path but connects Ipswich, Logan, Redlands and Brisbane council regions, in a sweeping arc across the southeast of greater Brisbane. 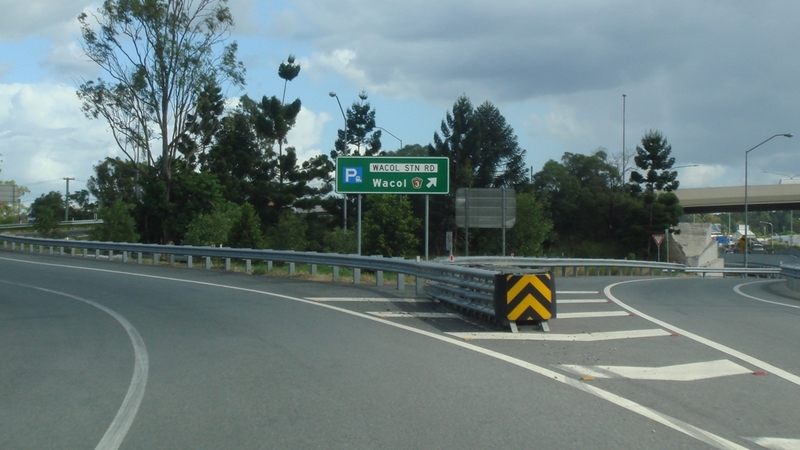 AD sign at Wacol on the off ramp from Ipswich Mwy (M7), approaching Wacol Station Rd (TD3) and Progress Rd (SR30), March 2012. 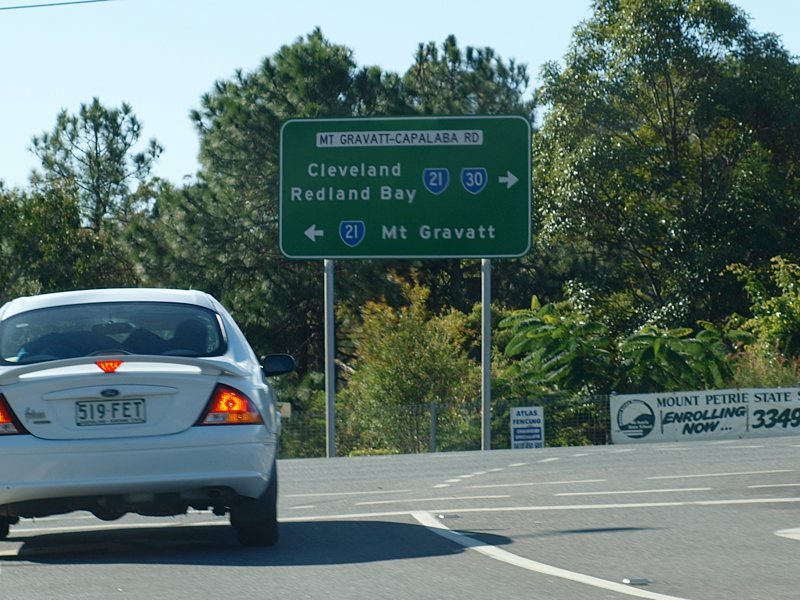 AD sign on the off-ramp from Pacific Mwy (M1) at Rochedale, June 2009. 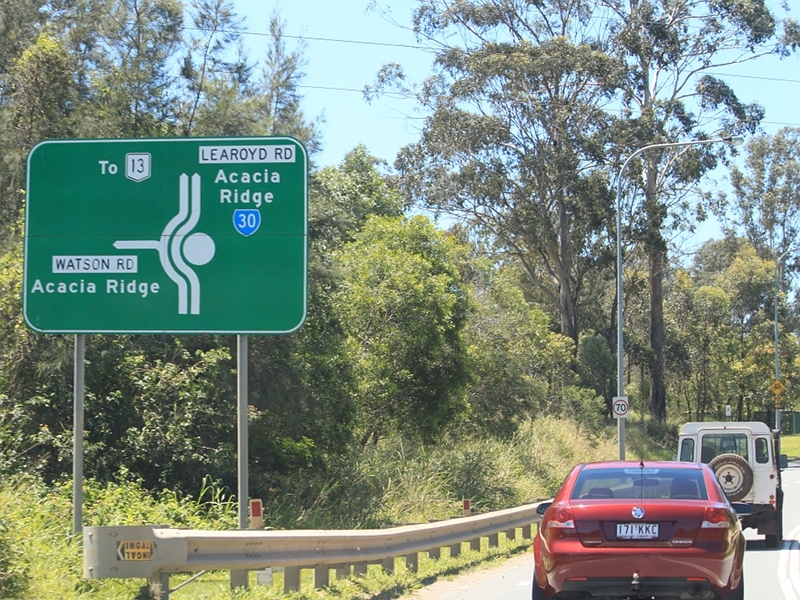 ID sign at Wacol on the off ramp from Ipswich Mwy (M7), approaching Wacol Station Rd (TD3) and Progress Rd (SR30), March 2012. 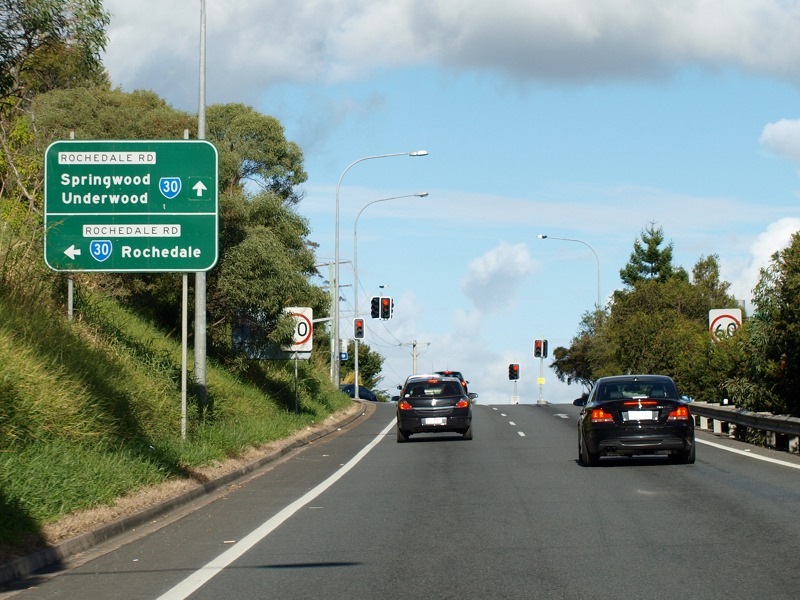 RD sign on Compton Rd (SR30) at Woodridge, March 2010. 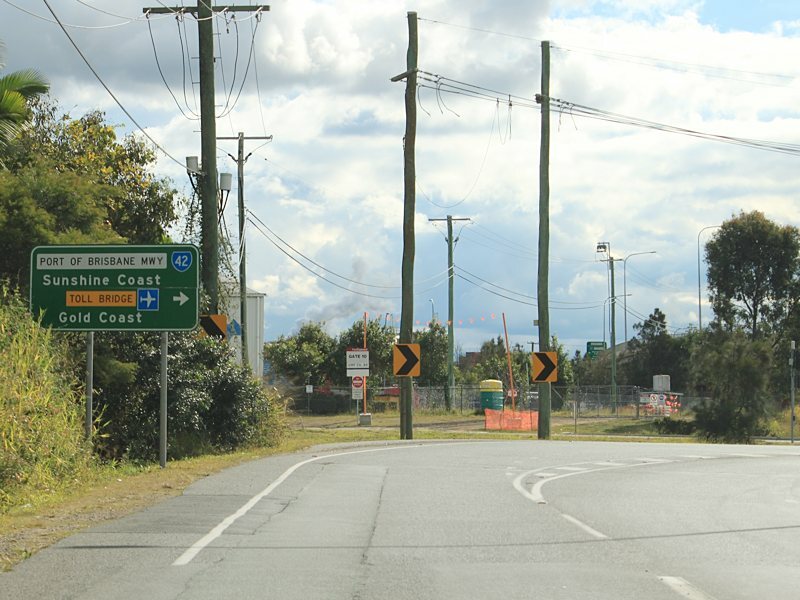 ID sign at Wacol on the off ramp from Ipswich Mwy (M7), approaching Progress Rd (SR30), March 2012. 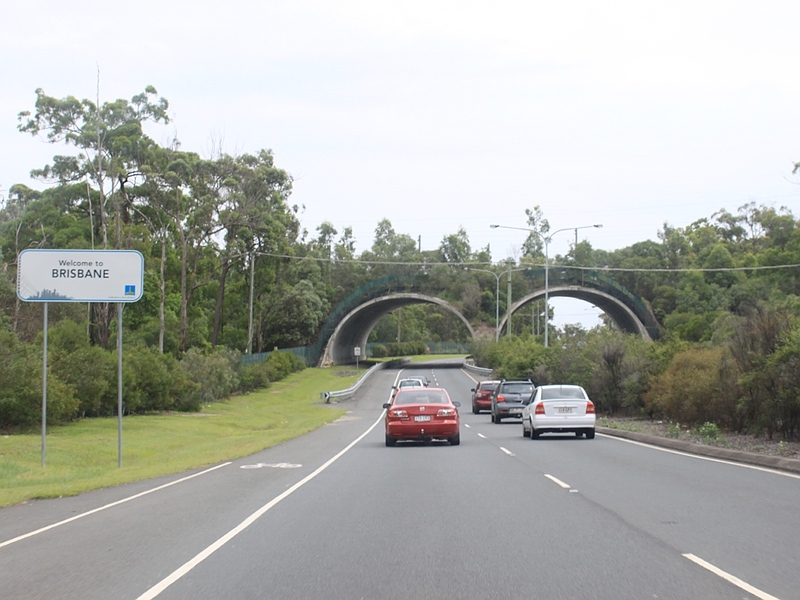 Wildlife crossing over Compton Rd (SR30) at Kuraby near Karawatha Forest, March 2010. 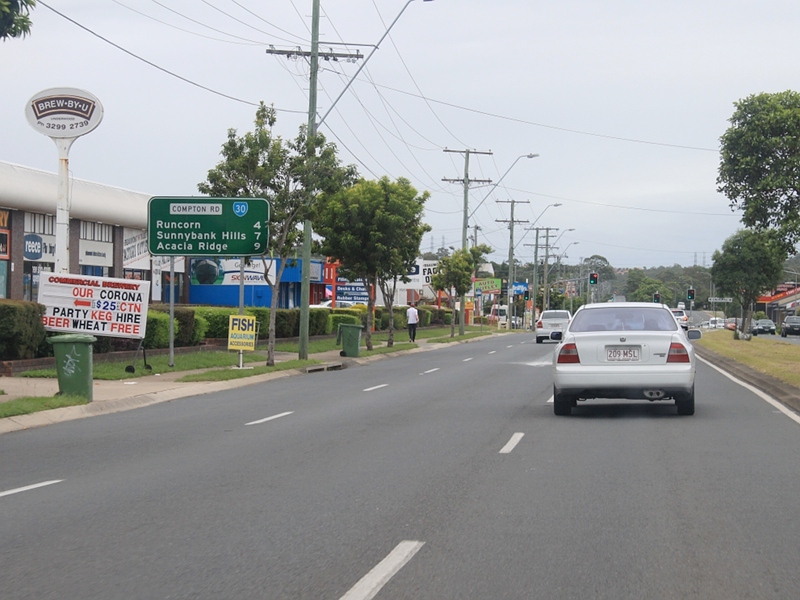 AD sign on Inala Av (SR30) approaching Blunder Rd (SR35) at Inala, October 2010. 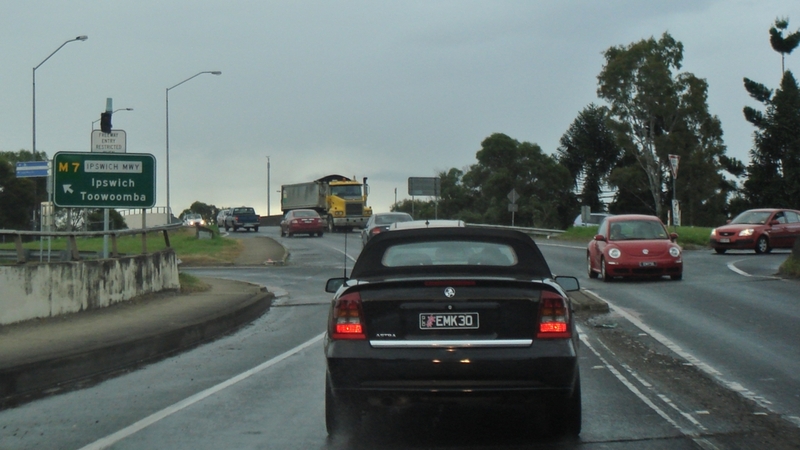 Note the incorrect M4 route number, it should be M2. Supplemental AD sign on Compton Rd (SR3) at Kuraby approaching Persse Rd, March 2010. 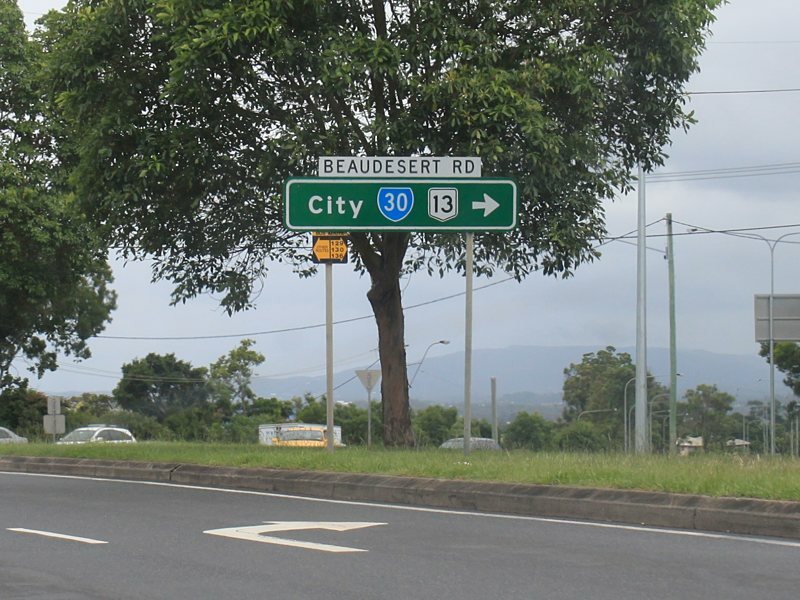 Inala Av (SR30) at the Blunder Rd (SR35) junction at Inala, October 2010. 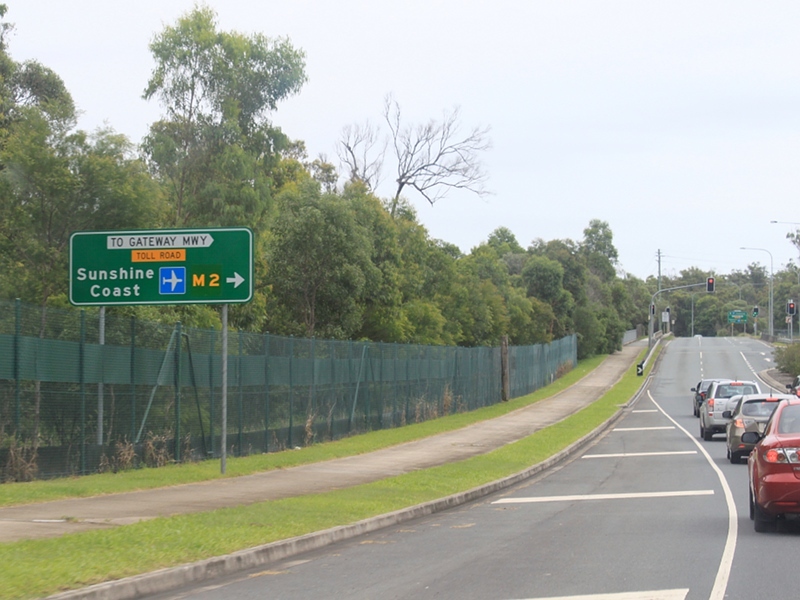 AD sign on Compton Rd (SR3) at Kuraby approaching Persse Rd, March 2010. AD sign on Compton Rd (SR30) approaching Calam Rd (SR36) at Runcorn, March 2010. 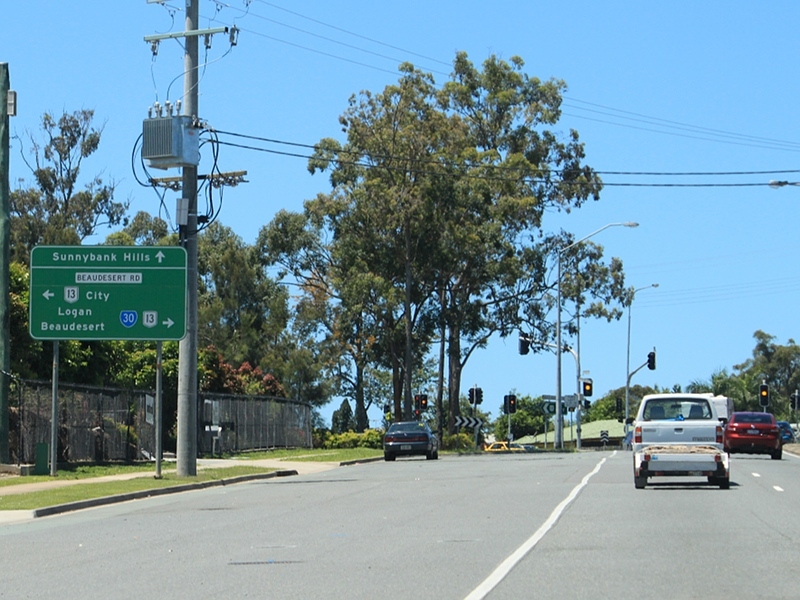 RD sign on Inala Av at Durack, October 2010. 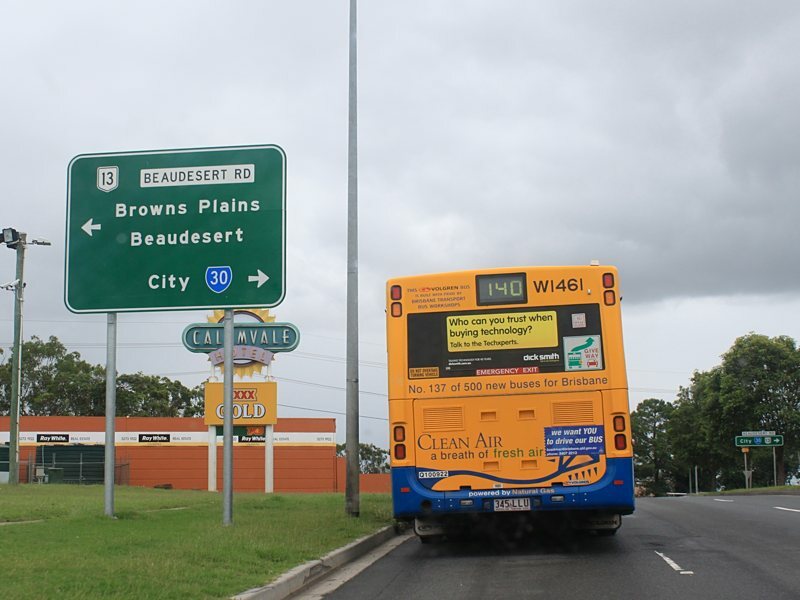 AD sign on Compton Rd (SR30) approaching Beaudesert Rd (NR13) at Calamvale, March 2010. 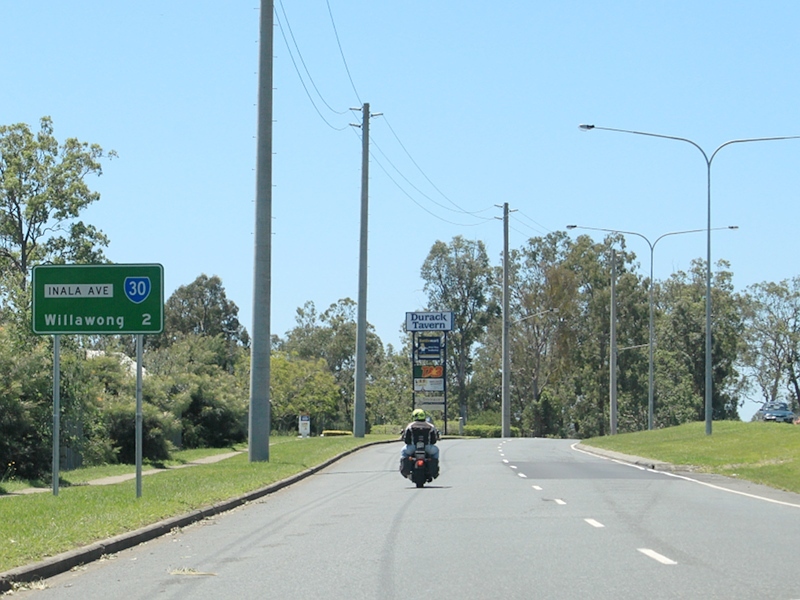 SR30 turns right at this junction and duplexes with NR13. 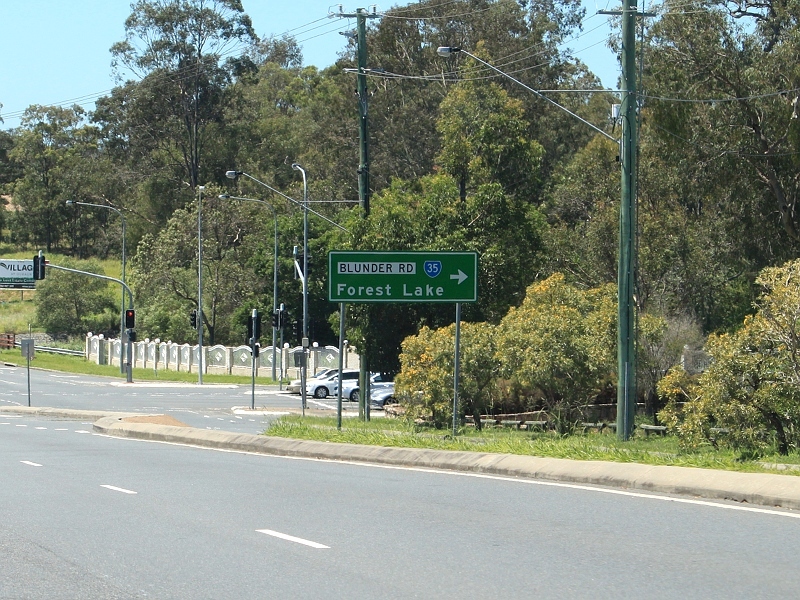 AD sign on King Av (SR30) approaching the roundabout with Sherbrooke Rd at Willawong, October 2010. 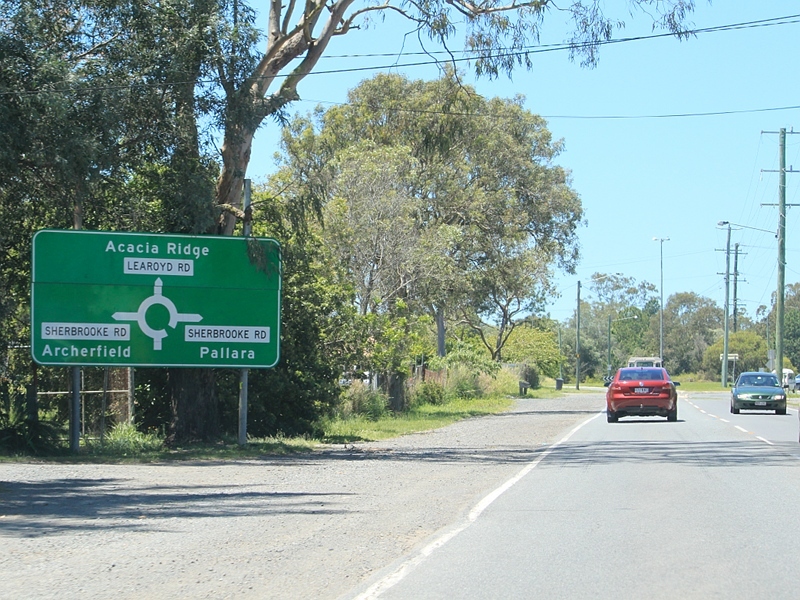 ID sign on Compton Rd (SR30) at the junction with Beaudesert Rd (NR13) at Calamvale, March 2010. 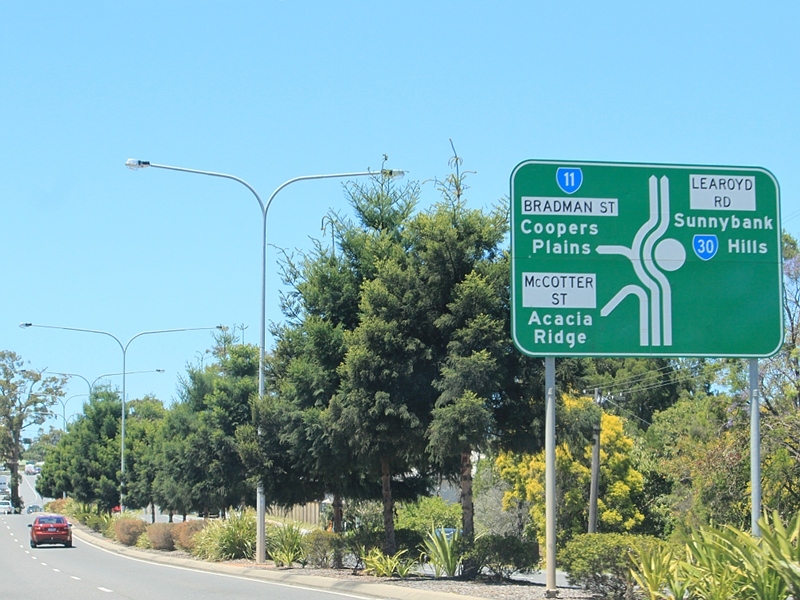 SR30 turns right at this junction and duplexes with NR13. 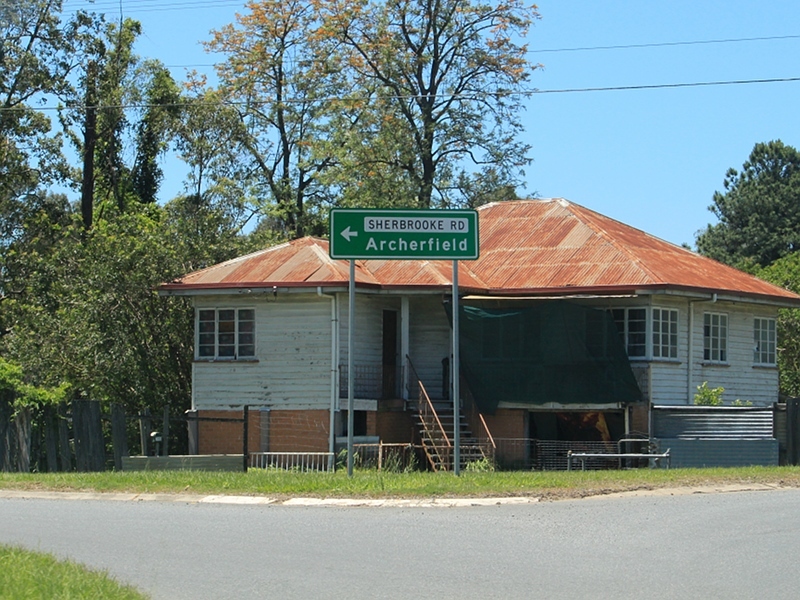 Corner of King Av (SR30) and Sherbrooke Rd at Willawong, October 2010. 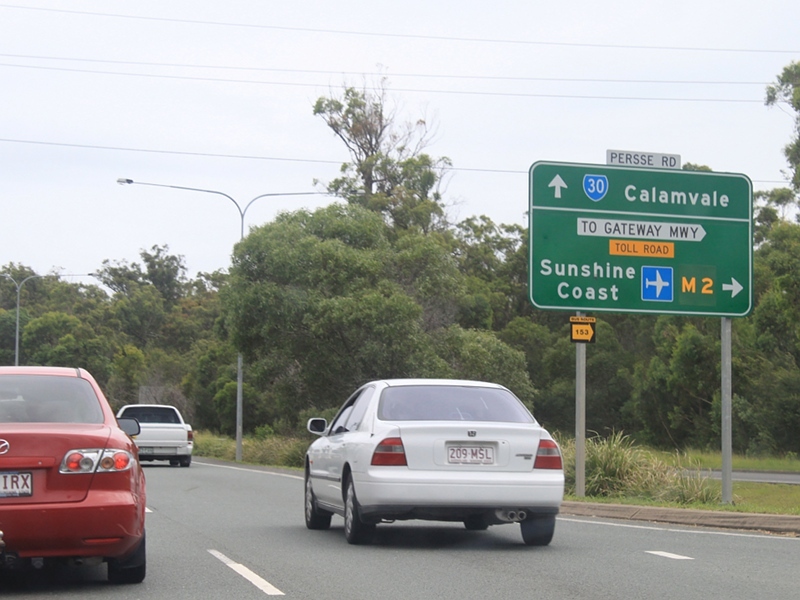 AD sign on Progress Rd (SR30) approaching the interchange with Ipswich Mwy (M7) and Wacol Stn Rd (TD3), March 2012. 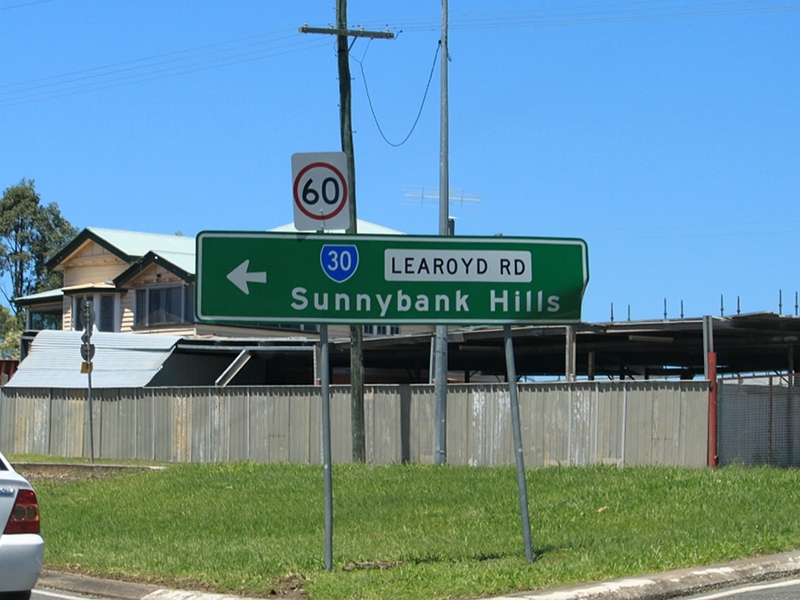 AD sign on Learoyd Rd (SR30) approaching Watson Rd at Acacia Ridge, October 2010. 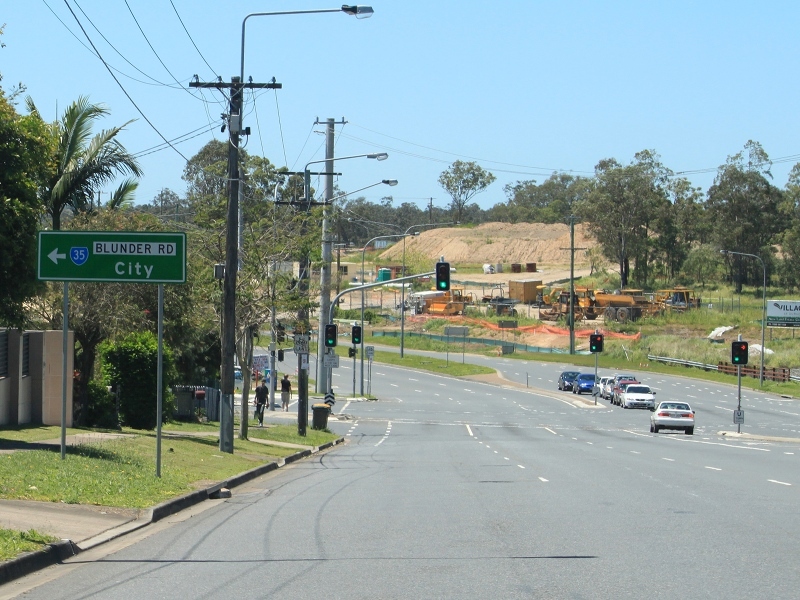 Progress Rd (SR30) at the interchange with Ipswich Mwy (M7) and Wacol Stn Rd (TD3), March 2012. 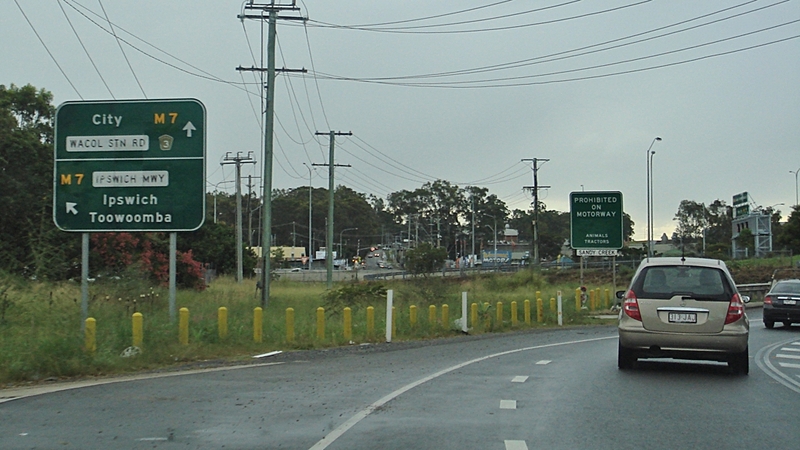 ID sign at the roundabout with Watson Rd in Acacia Ridge, October 2010. 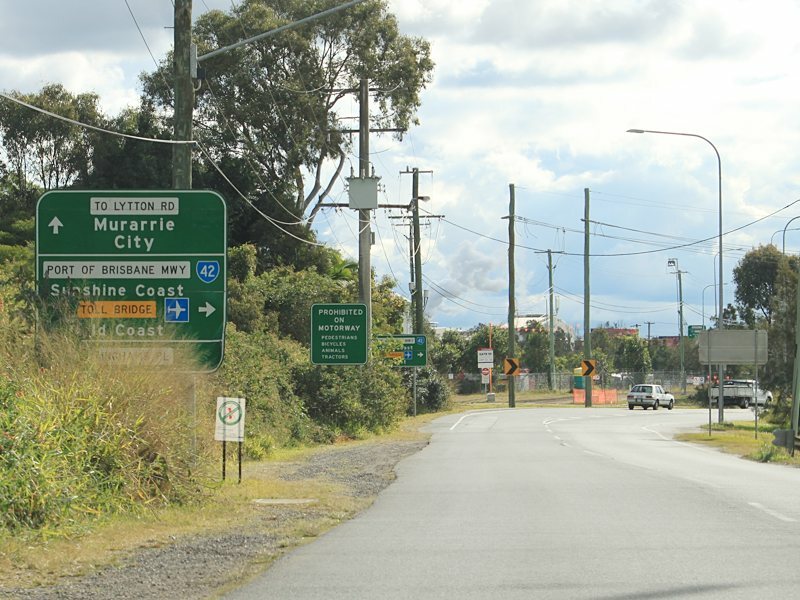 AD sign on Learoyd Rd (SR30) at Acacia Ridge approaching Bradman St (SR11) and McCotter St at Acacia Ridge, October 2010. 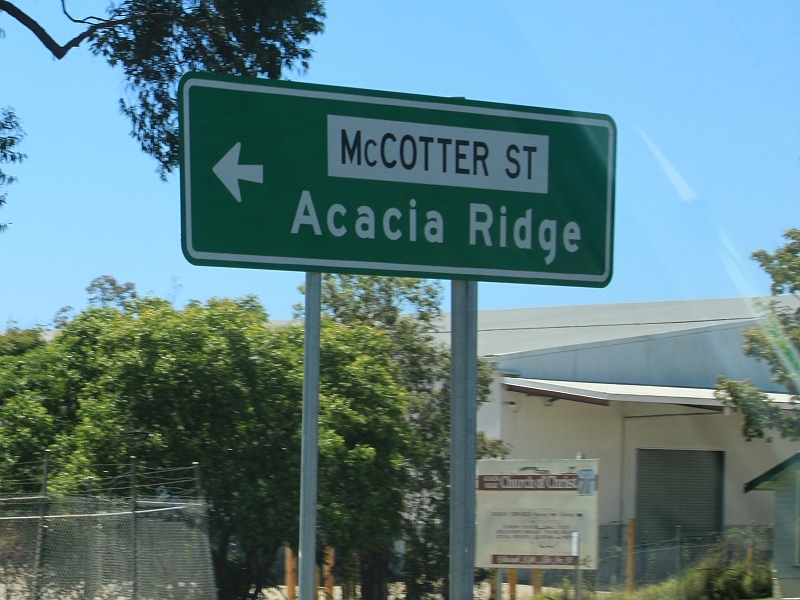 ID sign for McCotter St at Acacia Ridge, October 2010. 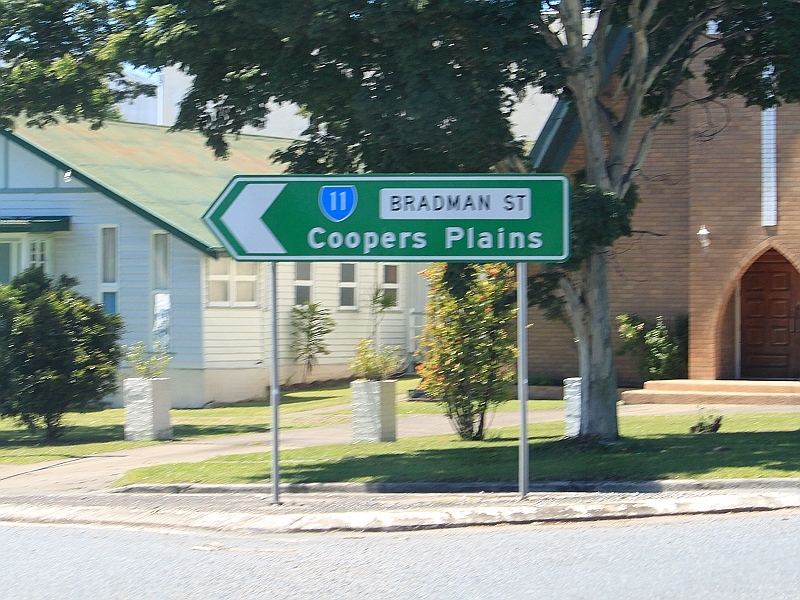 ID sign for Bradman St (SR11) at Acacia Ridge, October 2010. 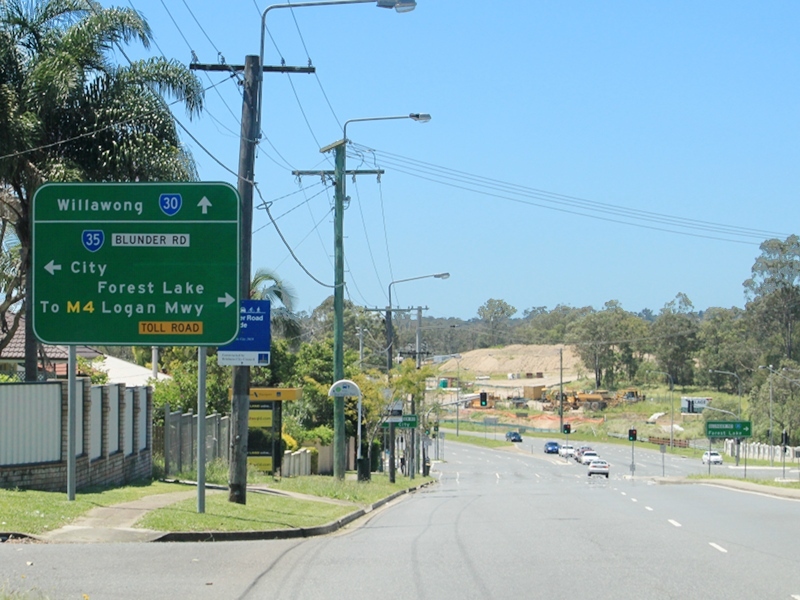 ID sign for Learoyd Rd (SR30) at the roundabout with Bradman St (SR11) and McCotter St in Acacia Ridge, October 2010. 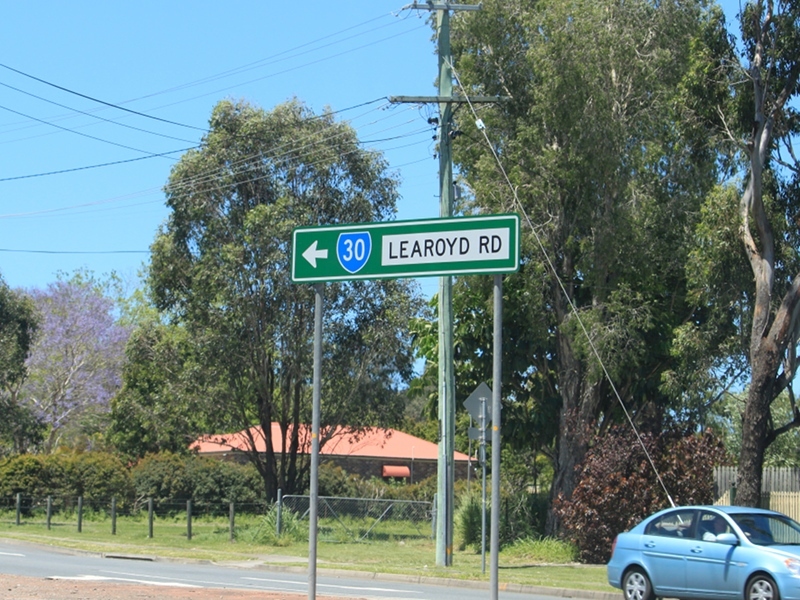 AD sign on Learoyd Rd (SR30) approaching Beaudesert Rd (NR13) and Hellawell Rd at Algester, October 2010. 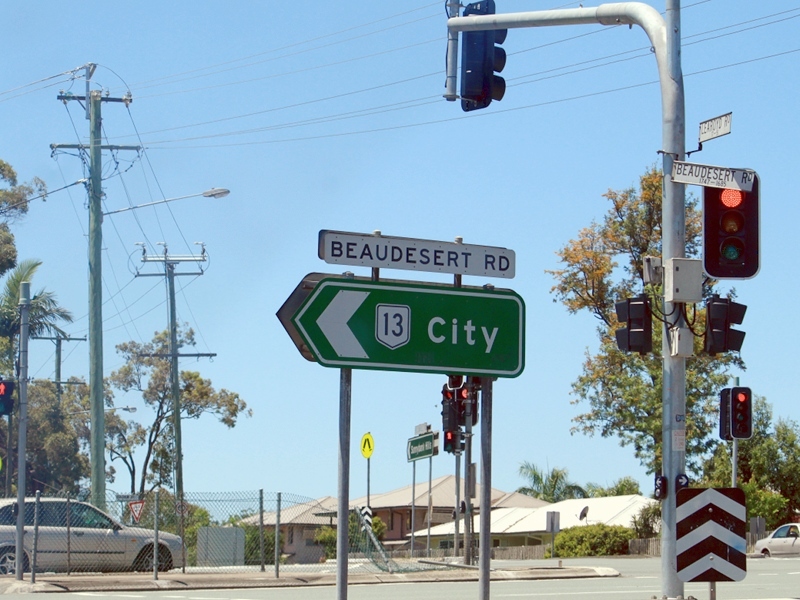 Intersection directional sign at the junction of Learoyd Rd (SR30), Hellawell Rd and Beaudesert Rd (NR13) at Algester, October 2010. SR30 turns right at this junction. 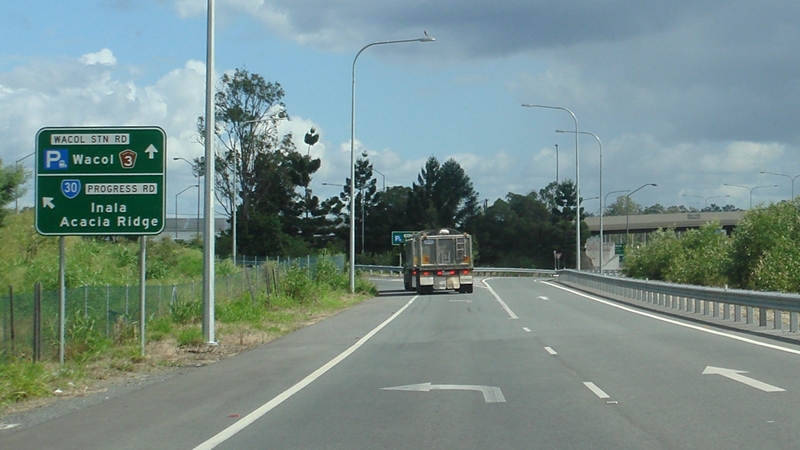 Grieve Rd (SR30) at the junction with Mt Gravatt-Capalaba Rd (SR21) at Mackenzie, June 2009. SR30 turns right at this junction. 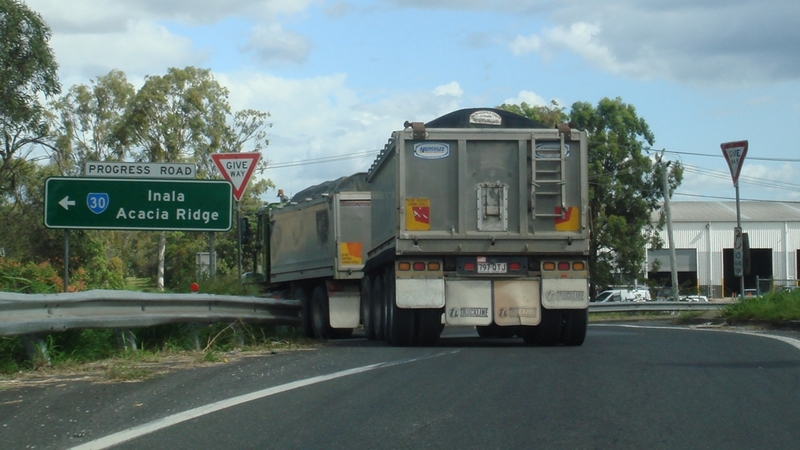 AD sign at Hemmant approaching Inghams Pl and Port of Brisbane Mwy (SR42), July 2010. 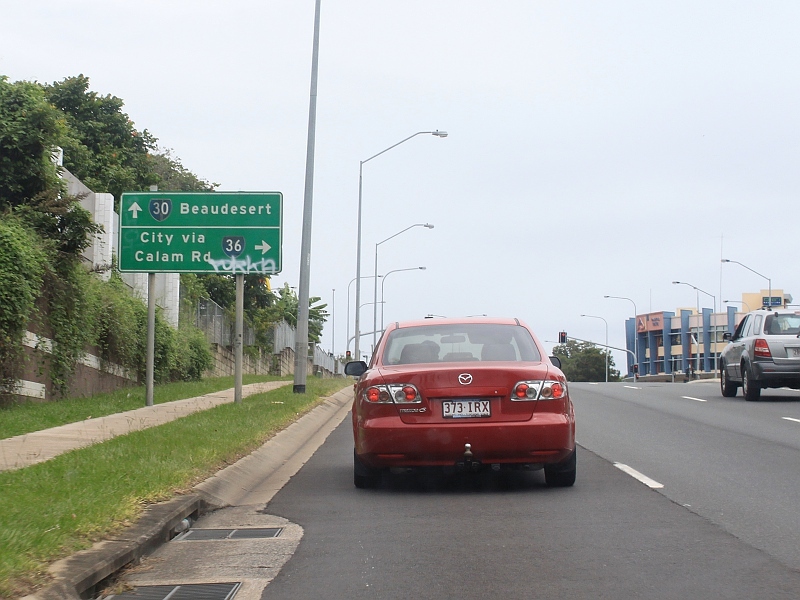 Lindum Rd (SR30) at the Port of Brisbane Mwy (SR42) interchange at Hemmant, October 2010., July 2010.